Indulge your cheeks with a natural flush of gorgeous blush color, which provides fresh, buildable coverage with a soft, velvety finish. Laura’s flawless blush formulations feel weightless and apply seamlessly to the skin, layering divinely for a sheer hint of color or a bold blush statement. The perfect blush shade complements your natural skin tone, and looks as gorgeous with liquid or powder makeup as it does on bare skin. 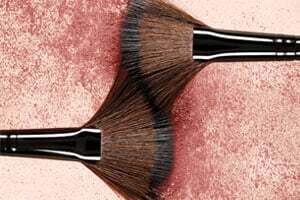 From blush highlighter that illuminates to baked and cream blush formulations, each blush formulation provides a natural, radiant flush to the skin.